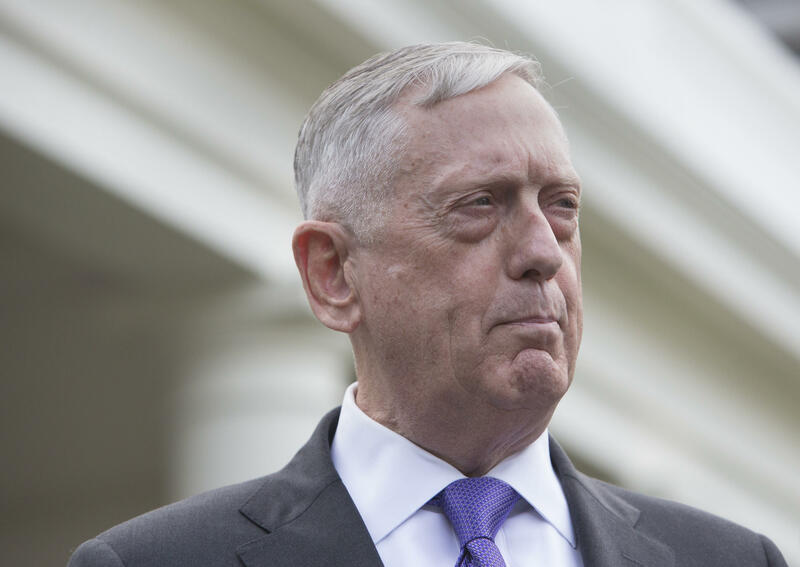 In Afghanistan, James Mattis says, "We are not quitting this fight"
During a trip to Afghanistan, U.S. Defense Secretary James Mattis reaffirmed the United States' intentions to see out the end of the war, telling his counterparts, "We are here to support Afghanistan." "We are not quitting this fight. In short, uncertainty has been replaced by certainty," Mattis said shortly after arriving in Kabul Wednesday. He went on, delivering in strong terms that the U.S. would not "abandon Afghanistan" and allow it to once again become a "safe haven for terrorists." NATO Secretary-General Jens Stoltenberg, who also attended meetings in Afghanistan, echoed Mattis' assurances, saying "NATO doesn't quit when the going gets tough. We keep our promises." This was Mattis' first trip to Afghanistan since President Trump announced a new strategy for the 16-year-old war last month, which includes sending in more than 3,000 additional U.S. troops. Mattis had disclosed at the end of last month that he had signed the order to send additional forces, around half of which will come from the 82nd Airborne. His last trip to Afghanistan was in April. On Wednesday, Mattis said the "new strategy" in the fight has "given us a new opportunity." The secretary said that the U.S.-led coalition also supported a new plan from Afghan President Ashraf Ghani's plan, which increases Afghani commando forces. When asked how the U.S. would gauge progress in its new strategy, Mattis told reporters that the military will have benchmarks and will be evaluating them on a frequent basis, including who initiated the most fights with enemy forces. During Mattis' visit, Ghani confirmed that there was an attack at Kabul's airport and that special forces in the region were handling the situation. The Interior Ministry said five people were injured when a rocket hit a home near the airport.